In the hot summer months, we all depend on our A/C to keep us cool. However, constant A/C usage can cause your energy bills to skyrocket. One key to keeping your bills low, but also staying cool, is to ensure your home is energy efficient. One way that many homeowners waste energy is through interface problems with their attached garages. When built, a house’s outer walls are insulated with materials to prevent heat loss and air flow to the outdoors. Homes with attached garages, however, often lack this insulation on the walls facing their garage. These walls may have holes or gaps in them, unintentionally left over after construction. In the winter, the temperature in a garage mimics the outside weather, and in the summer, that temperature can sometimes rise even hotter than the outside air. These temperature differences cause air conditioning systems to overwork to compensate for the air that seeps through these holes. Additionally, these gaps are a safety concern. Garage fires (which we have previous discussed on the blog) can spread to your house through these small holes. The solution to this problem is to thoroughly inspect your garage walls and seal any gaps with caulk. To ensure that you are not wasting energy due to poor garage wall insulation, check the bottom of the wall inside the garage and the bottom of the doorway into the house. This is where the garage wall meets the concrete foundation of the house. If insulated properly, it should be sealed with airtight foam. If not, be sure to caulk the gap. Additionally, you will want to use caulk to seal the garage drywall to the concrete floor. The reason for this is air is drawn into the wall in negative pressure situation, such as when your kitchen vent fan is running. The air then runs through the wall and leaks into the house through holes and electric sockets. You might notice this phenomena occurring if you can feel a draft coming from your electrical sockets. Finally, inspect the door that leads from your house to your garage. Because this is a frequently used door, it requires much more maintenance than the other doors in your house. If needed, use caulk to insulate the trim and weather stripping on the bottom of the door. If you find that your energy bill has been unusually high, be sure to check out these problem areas for garage air leakage. 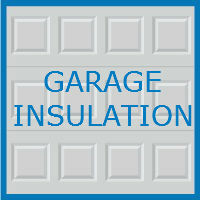 By sealing up your garage, you will not only save money, but also make your home a safer place. For any assistance in garage maintenance or redesign, be sure to call Blue Sky Builders at (630)-852-8485 for a free consultation.